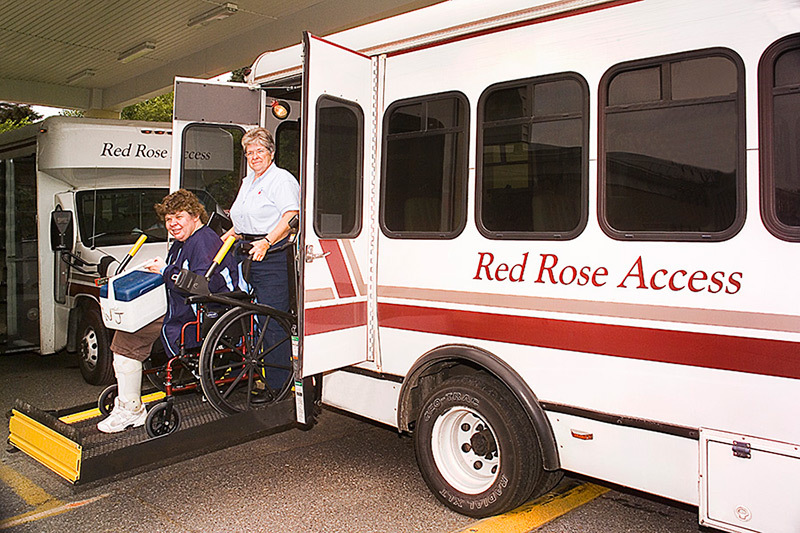 The Red Rose Transit Authority operates a shared-ride (paratransit) program for senior citizens and persons with disabilities in Lancaster County. This door-to-door transportation service, known as Red Rose Access, is available to those who are unable to use RRTA's fixed-route bus system. Red Rose Access offers many programs for specific needs. These services are usually sponsored by a human service agency or the Pennsylvania Department of Transportation. Red Rose Transit Authority uses a contracted carrier to perform the service. Your transportation will be provided by Easton Coach Co. throughout Lancaster County. Click here to download the Red Rose Access Services Guide booklet.